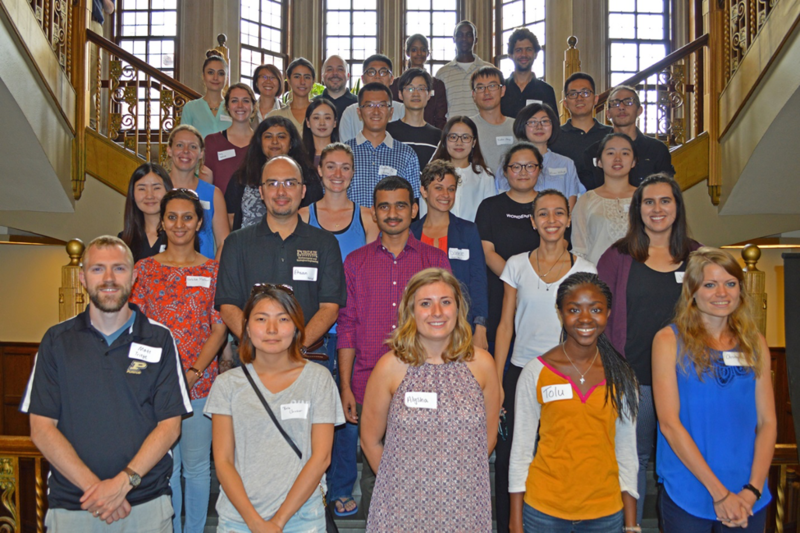 EEE graduate students for the 2017-18 academic school year. In the fall 2017 semester, EEE has 42 graduate students which is the largest amount since the beginning of the program. In the fall 2017 semester, EEE has 42 graduate students. Among those, 50% are female making EEE have one of the highest percentage of females in the College of Engineering at Purdue. The EEE graduate program was first approved by the Indiana Commission for Higher Education (ICHE) in the fall of 2015, and was shortly followed by a soft launch of the program in January 2016 with five graduate students. In collaboration with other Purdue departments, schools, and programs, EEE also offers a combined degree program in which a Purdue student can receive a BS degree -- and with one additional year of study -- a non-thesis Master of Science in Environmental and Ecological Engineering (MSEEE) degree. This is accomplished by dual-counting 9 appropriate course credits at the 500 level on the BS and MSEEE Plans-of-Study.